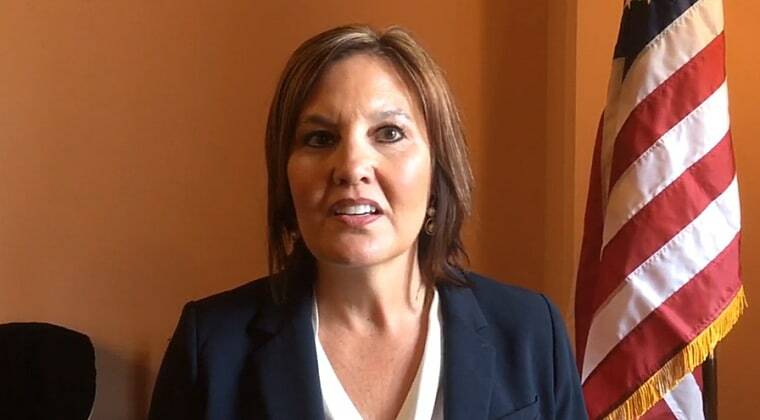 The lieutenant governor of Ohio revealed a secret Thursday that many other moms in her state share — her kids have been battling opioid addiction. Taylor, a Republican, did not say how her sons — Joe, 26, and Michael, 23 — became hooked on drugs. “There are sports injuries and kids, when they get old enough, get their wisdom teeth out,” she said. “There have been times where we as a family have been in crisis,” said Taylor, whose family's ordeal included two drug overdoses at home, numerous trips to hospital emergency rooms, and several failed tries at drug rehab. Taylor said one of her sons is still getting treatment, but did not specify which one. “We are fortunate to have found the type of treatment that was necessary, to restore sanity in our family, and to help my sons get into a good place and get their lives back on track,” she said. Both Taylor and DeWine are running for governor of Ohio. Ohio is one of the states that has been hardest hit by the opioid epidemic. DeWine’s lawsuit notes that many people become addicted by taking legally prescribed painkillers. Earlier this year, the capital city of Columbus and surrounding Franklin County were been averaging one deadly overdose per day, most often the result of addicts shooting up heroin cut with fentanyl, a powerful painkiller that is up to 50 times more powerful than heroin.